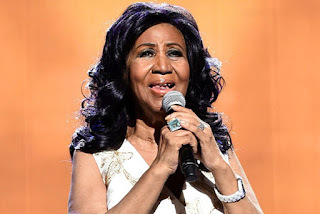 Step Tempest: Aretha Passes, Miguel with Strings Attached, & Monk's "Works"
Aretha Passes, Miguel with Strings Attached, & Monk's "Works"
And, just like that, Aretha Franklin is gone. Yes, there had been dire warnings but, until her death was announced yesterday (August 16), I could not quite believe it was going to happen. Her voice - that glorious, hair-raising, soulful instrument - has been part of my life since her Columbia Records days in the early 1960s. Those records have their moments yet the day I heard the opening minute of "I Never Loved a Man (The Way I Love You)", I was no longer an 18-year old punk but someone who began to understand what "adult" meant. She set the bar so high. Ms. Franklin could take a song, just about any song, and make it her own. She made Otis Redding's "Respect" her song in the manner that Mr. Redding did with the Rolling Stones "Satisfaction" (in the latter instance, the raucous remake makes the original sound like a schoolboy tune). That first Atlantic album, named for the song listed above, unleashed Ms. Franklin's voice - she may have only been 24 but she sang like a mature "knowing" woman. Producer Jerry Wexler (if this was Great Britain, he would be knighted for recording Aretha down South) sat her at the piano in Fame Studio, surrounding her with musicians who worked in that great Muscle Shoals, Alabama institution and let her loose. 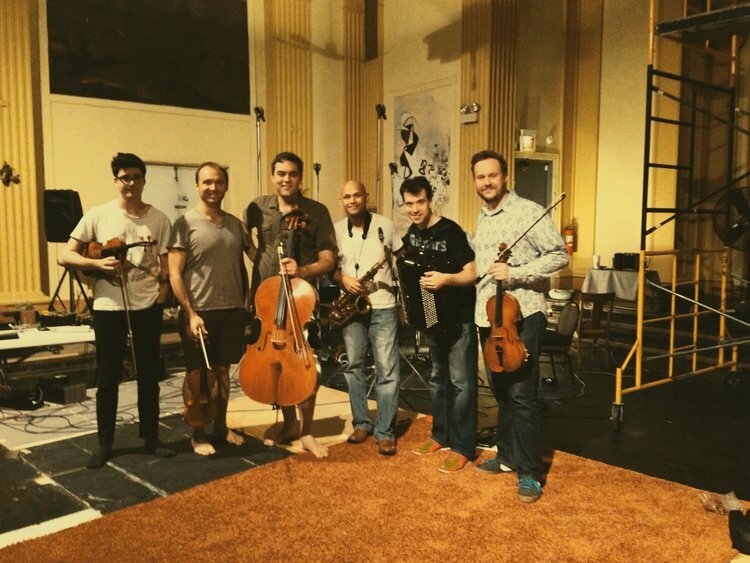 For subsequent recordings, Wexler would bring the band (or variations) to New York City to record because Aretha was uncomfortable down South. She had her ups-and-downs, fell in and out of favor, but the voice never wavered. There were several successful gospel albums, plenty of retrospectives, and a a slew of television appearances (especially in the last few years) that always served to remind people this was an artist who transcends generations, labels, and styles. In the articles that have surfaced since the announcement of her passing, just about each one talks about 2015 appearance at the Kennedy Center Honors when she sang "(You Make Me Feel Like) A Natural Woman" in a tribute to its writer Carole King. 73 years old at the time, her voice as amazing as it was five decades before, she "owns" that song, those emotions, that crowd, even the people watching at home. It still moves me to tears and I have watched this video clip a dozen or more times. Whether you believe in a Heaven or Hell or even God, Aretha will bring you to your knees in praise! Bless you, Aretha Franklin! Bless you and thank you! Take a breath....we move on! The picture above shows the four members of Spektral Quartet, alto saxophonist Miguel Zenón, and the person who brought those musicians to the studio, bandoneeonist Julien Labro. Spektral and Labro made an album together in 2014 that the saxophonist guested on and, as you will hear in the video below, planted the seeds for a collaboration that has resulted in "Yo Soy La Tradición", an album that will be released in September on Zenón's Miel Music label. Give it a listen plus check out the video below for a full song from the album. One more deep breath.....and we'll change gears one more time as well. Guitarist Miles Okazaki, a native of Washington state, moved to New York City in 1997. In the two decades since, he's made his mark working alongside vocalist Jane Monheit, pianist Kenny Barron, trumpeter Jonathan Finlayson, and, most recently, with saxophonist Steve Coleman's Five Elements (he's on the past two albums including the brand new "Live at The Village Vanguard." He's also issued four CDs under his own name. 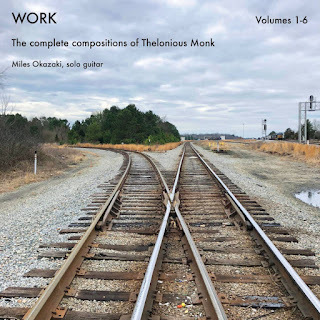 His latest adventure, recorded over an eight-month period (starting in September of Thelonious Monk's 100th birth year, 2017 and finishing in May of 2018), Okazaki recorded "Work", a six-volume set of the complete works on that most influential composer of the 20th Century. 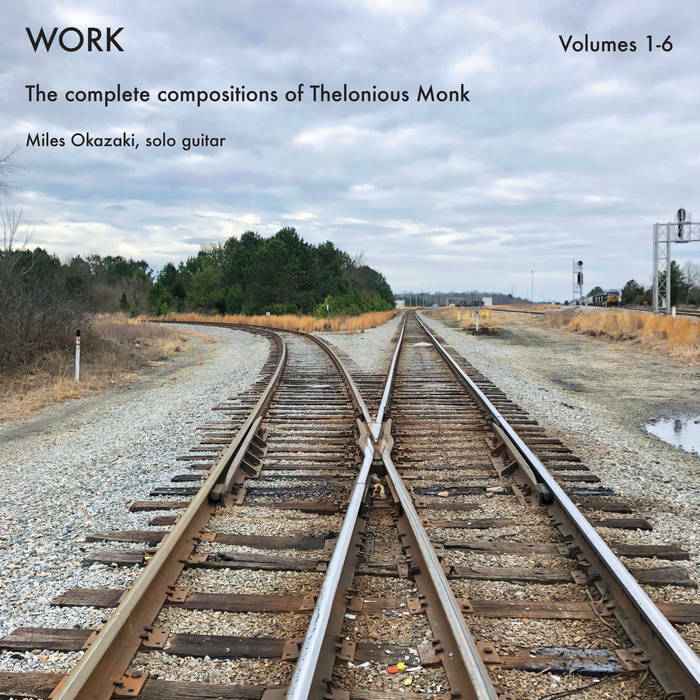 It's only available on the guitarist's Bandcamp page where you can purchase all six volumes together or buy each one separately. I'll post a review soon but I can tell you this - this music is quite fascinating. I've posted one tune below as well as a link to the liner notes to whet your appetite.